A friend of mine recently visited Landa Library and recommended it to me. There’s a library by my house, I thought, but she explained that Landa Library is so much more than a public library. 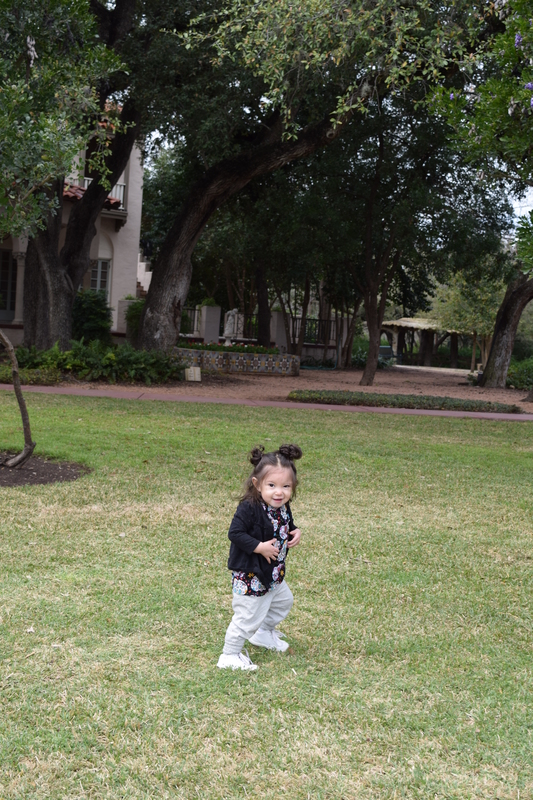 Hidden among the Historic District near downtown San Antonio, is a library with beautiful architecture, a children’s playground, and plenty of trees and grassy area to enjoy. MJ loves the outdoors,and now that she’s off and running, she explored the park until her little legs couldn’t go anymore, and she took an hour nap in her stroller. She found rocks and leaves and sticks, and ran and rolled in the grass. 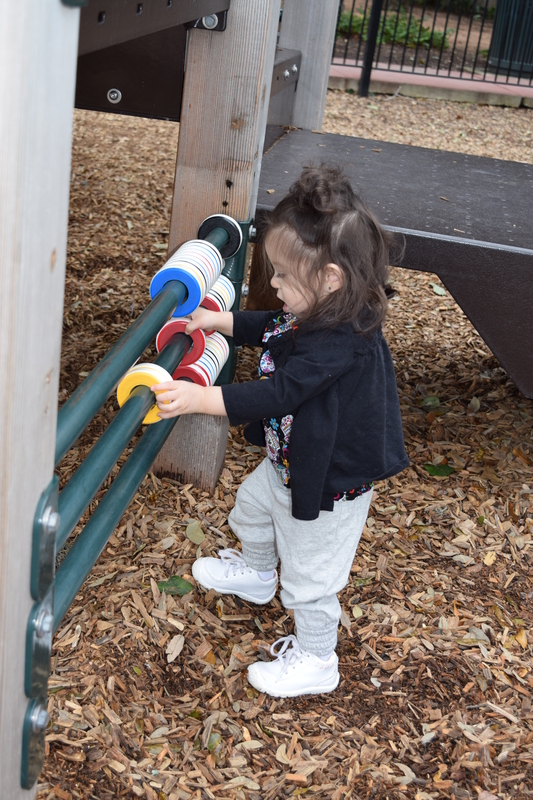 She did not seem at all interested in the play structures, She briefly played in at the toddler playscape, but was more interested in exploring. Xander and my 13 year old niece, along with my friend’s tweens, enjoyed the park too. They climbed trees, competed to see who could go highest on the swings, and even played hide and seek. I knew MJ would enjoy it, but I was surprised how much fun the older kids had too. Landa Library was, to my surprise, the best park I’ve visited since I can remember. While the older kids played and MJ napped, a friend and I got to sit on a park bench and chat while birds chirped and squirrels ran by us on their way to bury nuts. It was a peaceful, relaxing day and we’ll be visiting again very soon. ← She’s Asleep! Ready, Set, Go! Thanks for reading, and thanks so much for your comments. Yes, please keep visiting my site and reading my posts. I appreciate it!